A shaving soap is a traditionally made hard soap used to make lather with the use of a badger brush. This lather can be then applied to the face for shaving off the facial hair. The lather protects the skin as well as provides lubrication for the smooth maneuvering of the razor blade to give you a clean shave. The tradition of what we call a “Wet Shave” dates back to around 30000BC. The circular bronze and gold razors that have been a part of the excavated artifacts from Egyptian Burial Chambers stand witness to the facts. As early as 3000BC , Sumerans have been known to use animal fats and wood ash as shaving cream. So the tradition that had been so old converted into a daily habit in every household after James Baker Williams of Connecticut, started manufacturing the first shaving soaps, under the name of Williams Genuine Yankee Soap in 1840. It was made to be used in a mug as the shaving scuttle was patented much later in 1867. This age old tradition is slowly fading away with youngsters being attracted to shaving foams and gels that are much easier to use. But a shaving soap still excels in the quality of the shave and is worth the time it takes to prepare the lather. If you want to add tradition to your style, then shaving soaps are for you. They are as effective as they had been, and that’s the sole reason why the traditional brands have continued manufacturing their soaps even till today. But choosing a shaving soap for yourself may not be an easy task and you can often fail in your pick unless and until you know a little about the shaving soap. We shall provide you in this article a detailed knowledge of the shaving soap, what all you need to look for in it and also give you a list of the shaving soaps that have topped the charts in 2017 so that picking one would be a hassle free task for you. Let’s have a look at the shaving soaps that are considered to be the best in business. Very few traditionally old brands have continued to maintain their standards in the making of a shaving soap and this 1854 brand is definitely one of them if not the best. 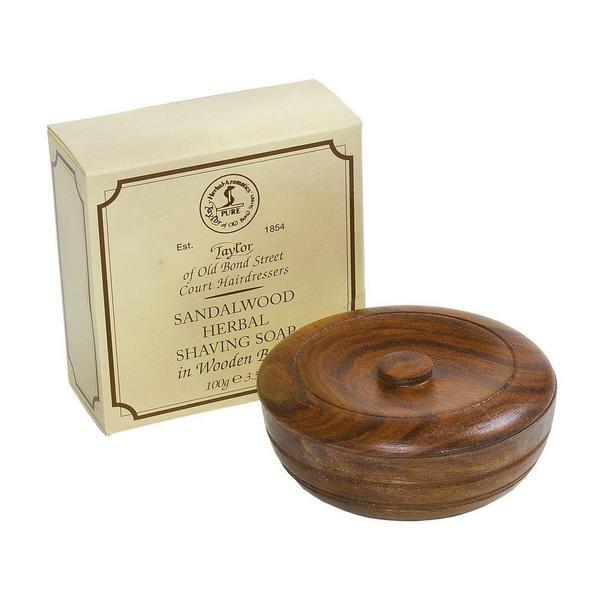 As the name suggests this shaving soap comes in a durable wooden bar which reduces the use of water in blooming. Also this bar is a little larger in size and would not fit in a standard mug or scuttle. The soap comes with a refill option and you do not have to buy the one with the wooden bowl every time. Loading the soap can be a bit tedious than other brands but the lather formed is thick, rich and provides great cushioning for your razor. The lather has the slickness required for the closest shave and leaves your skin with a great after effect and a sweet yet masculine odor of the sandalwood oil. The wooden case makes it travel-friendly and you can easily carry it around and you do not have to carry an extra mug or scuttle. The only disadvantage with this soap is that it has parfum as one of the ingredients in it. Though this brand is pretty new and is just 3 years old, Sir Hare has already made a mark in the men’s grooming products. Sir Hare is run by a family and they claim to make completely hand crafted shaving soaps in small batches to maintain the quality of each product. This tallow based shaving soap is mainly made of natural ingredients and is free of any artificial preservatives. The 4-ounce soap comes in a 8-ounce container which doubles as your scuttle. The label is waterproof and will not fade with time. It excels in blooming, loading and forms super slick lather to give you that extra smoothness. The tallow helps in moisturizing the skin to a greater extent and hence this soap is suitable even for sensitive skin. The soap leaves you with the fragrance of oak mass, cedarwood and bergamot. The soap is inexpensive and lasts you for around 100 shaves. The only disadvantage is that “tallow based” shaving creams may not be preferred by some who would want a vegan alternative. The Legend of Colonel Conk started way back in the mid 19th century and they are one of the pioneers in the men’s grooming section since time immemorial. Colonel Conk products are mostly favored due to the fact that they are cheap and readily available. This shaving soap is vegan and hence has natural plant oils as its base. Another essential element is glycerin. The benefits of glycerin have already been mentioned. This mostly natural shaving cream has avocado oil and Vitamin E among other ingredients. Both of these add to the moisturizing and anti-inflammatory properties of the soap and give your skin a smooth glowing after effect. The shaving cream does not undergo milling and thus can be sold at so less a price. But at the same time this means that the amount of soap required in every pass increases. Thus it’s not as cost effective as we thought it to be. It easily blooms and loads onto your brush and forms lather. At the same time it dries quite effectively and you need to bloom it again if you want a second pass. It takes a little extra time to load this time. This shaving cream does not come with a shaving bowl and hence you need to transfer it into a mug before using it. This shaving soap boasts of a great slickiness in the lather formed and thus you can glide your razor even through the thickest beard with ease. The only matter of concern is the presence of SLES and parfum in the product. The shaving soap leaves a masculine old fashioned barber shop fragrance on you. The Bay Rum fragrance is a culmination of the West Indian Bay tree with clove oil, cinnamon oil and a tinge of citrus. This is not overpowering but at the same time lingers for a long time. This soap derives its name from the famous opera “The Barber of Selville”. It exudes the fragrance of the traditional Italian Barber Shop with notes of bergamot, lemon, patchouli, oatmoss, lavender and rosemary. The fragrance of this product is taken care of by making it in small batches. This tallow based shaving soap is also packed with ingredients such as shea butter, coconut oil, lanolin and glycerin. These ingredients add the essential moisturizing effect after the shave. It can be easily bloomed and loaded from the accompanying tub. So it doesn’t require an additional scuttle for its use. The lather formed is highly appreciated by users for its cushioning and exceptional slickness. This almost natural tallow soap with complex fragrances has been rising up the charts and is already a favourite among many. Unlike the term luxury in the name, this shaving soap is pretty cheap. It is a vegan soap with vegetable oil as its base ingredient. The soap has about 10% glycerin in it and so has a better moisturizing effect on the skin. The other ingredients that add to this effect are shea, cocoa and mango butter. This soap is specially made in small batches by a unique kettle process to maintain the quality of the product in each bar and is hypo-allergic in nature. The presence of SLES and parfum is one of the major drawbacks of this product. It comes in a cardboard box and lacks the advantage of a container that some of the top notch products have. But it has a resealable plastic cover and can be easily travelled with. While in use it needs to be transferred to a mug. The blooming and loading of the soap takes rather less time and can be worked up on your face easily into a great cushioning lather. The slickiness of the lather though is a little less in comparison to triple milled products. The soap has a distinct smell that does not stay for long but gives you a refreshing after shave effect. Some say that it resembles cologne, others that it has citrus notes but it’s difficult to describe its fragrance exactly. Due to the fact that the soap does not undergo a milling process it dries off quickly and each shave requires more soap and hence this bar wouldn’t last too long. But at the price at which it comes, you can afford to buy it often. With three generations of experience and expertise to its credit, Proraso Green Shaving Soap is definitely worth a try. This shop has been made using the hot soap process and has then been kept to mature for 10 days in small batches, so that each bar of soap remains the same even if there is a difference in temperature. This soap bar comes in a jar which can be used as the scuttle. The soap is devoid of all the ingredients that are a part of our ‘to avoid’ list. It’s a vegetable-oil based soap with coconut oil, glycerin among the list of ingredients. The magic ingredients in this bar are eucalyptus oil and menthol. While eucalyptus oil helps in moisturizing the skin and has anti-inflammatory properties which prevents rashes and reddening of the skin, menthol gives a cooling effect after the shave. Eucalyptus oil also has anti-bacterial and antiseptic properties. This is a soft soap and can be easily loaded on your shaving brush. The cushioning of the lather here is something you can never complain about. The lather provides a great base for a smooth shave but in extreme dry conditions it tends to dry up a bit. The after shave fragrance is a combination of menthol and eucalyptus. This can be liked by many but to men who have a sensitive skin menthol can be a problem. Also the dryness that can be there can be got rid of by applying an after shave balm or an external moisturizer after the shave. This shaving soap is less expensive and lasts for a pretty long time. This Blades Grimm is a more recent brand in this category but it is already in the list with some heavyweights from the yester-years. That itself speaks a lot about its performance. But let’s first discuss about the most noticeable part of this shaving soap, that has made many heads turn. With notes of mandarin and citrus along with hints of star anise and coriander to add the spice and ending with a lasting essence of Venezuela Tonkathick, in all gives the much talked of Smoulder or smoked fragrance to the soap. The soap is handmade made in small batches and has an exceptional soft texture to it. It loads easily on a brush and forms a thick lather with great cushioning and super slickiness. The coconut oil in the soap hydrates and cleanses the skin while the glycerin moisturizes it. With a screw neck lid jar, that can be opened without trying too hard and a container that acts as the soap mug, this soap is definitely an all-rounder. This shaving soap comes in a ceramic bowl which can be used as a mug. It has a refill option too. Tabac original shaving soap seems to be a little expensive upfront. This is because it undergoes the triple milling process. So it’s devoid of the extra air particles and is hard in nature. Soaps undergoing this process tend to be a little dry, but it’s not the same with the Tabac. Tabac original shaving soap is tallow based and thus prevents the skin from drying. The loading of this soap may take a little effort but the lather formed is something that you can be proud of. It has a good cushioning and is super-slick. Your razor can glide through even the toughest of beards with this. Users have said that it doesn’t feel dry even in places where the winters are harsh. But Tabac may not be suitable for very sensitive skin. This shaving soap has a complex yet classic masculine fragrance. You may or may not like the smell but you are surely going to be hooked to this soap for quite some time. The first thing that would catch your attention is the mahogany bowl in which the product is packaged. D.R Harris has earned a reputation for itself since a long time and the company has even been the chemist to his Royal Highness, the Prince Of Wales. This triple milled solid white shaving soap speaks for itself. The soap is easy to load and gives you a rich luxurious lather. 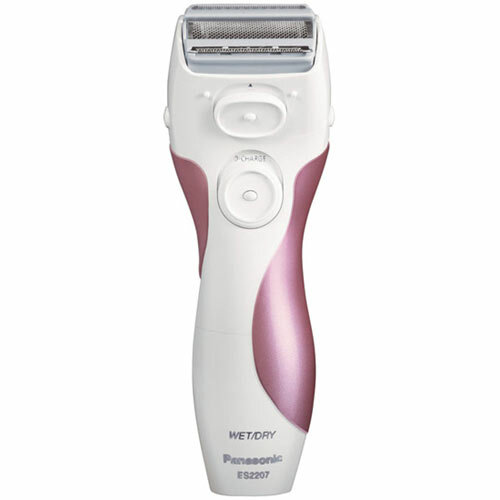 The lather protects your skin from the razor burns or bumps while making the razor gliding smooth and easy for you. Owing to its tallow base, the soap leaves a moisturizing effect on your skin and the lather doesn’t dry easily. The fragrance of this Marlborough Variant is a combination of cedarwood and sandalwood. This shaving soap is simple yet elegant and classic in fragrance and is famous for the task it’s supposed to perform. This is one of the best vegan shaving soaps you can get. The Henry Cavendish Himalaya shaving soap has coconut oil, castor oil and hybrid safflower oil as its base. This soap rich in glycerin has shea butter as the magic ingredient that gives your skin the additional moisturizing effect. The soap loads easily and forms an exceptional lather that gives a high cushioning and forms a protective layer on the skin. The lather doesn’t dry even after a long time. The soy in this product reduces dark spots, gives UV protection and prevents acne formation. This product doesn’t use the harmful chemicals as its ingredients, not even parfum. Thus it has a natural and subtle fragrance which is almost equivalent to “no fragrance”. This soap is not as expensive as the triple milled ones and can last you for around 4 months. Terms and what they mean: In knowing the soap you buy, the first thing that’s extremely important is coming to terms with the terminology used in a soap wrap. If your soap claims to be “Triple Milled” or “French Milled” it means that your base soap has undergone a process of being grated and then passed through a pair of closely spaced rollers for three times. The process of milling is done to remove excess water and air from the soap making it harder. This soap will last you longer and give you a uniform lather. The other types being a “Semi-hard soap” and a “Croap”. A croap is a softer and creamier soap and has high moisture content in it. You can also come across terms like “Tallow” or “Vegan”. A “tallow” is the old fashioned way of incorporating animal fats as the main base ingredient for the soap, while “vegan” refers to a vegetable oil based soap. The main base ingredient in vegan soap is stearic acid which can be derived from vegetable sources. Stearic acid when mixed with Potassium Hydroxide produces lather that is so important in a shaving soap. A “glycerin based soap” is a myth as glycerin cannot be a soap base and most soaps have glycerin which is a by-product of the saponification process used to make a soap. Glycerin is of utmost importance in a soap as it encapsulates the skin moisture and protects the skin while providing the lubricating surface for the razor to act on. Parabens: Parabens which appear in the form of Methylparaben, Ethylparaben, Propylparaben, Butylparaben, Heptylparaben, Isobutylparaben, Isopropylparaben and Benzylparaben mainly act as preservatives and prevent the growth of bacteria. Parabens are known to mimic the body hormones and interrupt their normal functioning. Relating parabens to cancer and other disorders is yet to be proved and can be considered to be a myth as of now. But at the same time the speculations have not been completely rejected either. So it’s better to try and avoid them in your shaving soap. SLS: Sodium Lauryl Sulfate (SLS) is a cheap surfactant. SLS being a potential carcinogen is a myth, but it has a few side effects due to which it has to be avoided. SLS causes skin and eye irritations, it opens up the pores of the skin and aids in the entry of harmful substances in the skin, it pollutes the water and is toxic to fish, and is responsible for bio-accumulation. SLS can remain in your body up to 5 days and strips your skin of the natural oils too. SLES: Sodium Lauryl Ether Sulfate is also an inexpensive foaming agent and a skin irritant. It can be a potential carcinogen when contaminated with Dioxane and hence it’s advisable not to buy a product containing one. Parfum: Parfum or Fragrance may just sound to be an innocent term for the odor that your shaving soap has, but it refers to a list of almost 3100 chemicals, most of which can be hazardous. So ideally you should try and choose a shaving soap that has a natural ingredient to give you the aroma of your choice but in most cases we can’t avoid using a soap without a parfum. Ingredients that should be included: The inclusion of natural ingredients and essential oils add an edge to your shaving soap. They have a wide array of beneficial effects on your skin and give your skin a rejuvenated look. These natural ingredients are also attributed for the natural refreshing and soothing fragrance of some shaving soaps. Lather : The ability or the inability of a particular soap to form lather easily is also essential before considering it as an option. Using a mug or a scuttle can prove worthy. It enables easy loading of the shaving soap on to your brush and aids in making the lather. But some soaps form lather easily than the others. The quality of the lather is also very important. A slick lather will provide you with the skin surface protection by forming a thin layer over it and help your razor to glide through while the cushioning of the lather will save your skin from the nicks and the cuts and razor burn. Thus a soap giving you a slick and cushioning lather easily is what we need to look for. Fragrance: Though we have already talked about how an artificial fragrance has to be avoided and how we should try and use soaps with fragrances from natural substances. But you need to choose your soap with the fragrance of your choice or you can go for an unscented one if you like. Choosing the wrong smelling soap can cause pose a difficulty in its use. Price and Longivity: Though price of the product is an important factor in choosing a soap but this price should not essentially be referred to as the market price of the product. The cost per shave is to be considered. This means that a shaving soap that makes use of a little quantity to form lather can be considered even if it is dearer over a cheap variant that uses more soap to form lather. To start off with the entire process you need to soak your shaving brush in a sink or in the scuttle so that the bristles are soaked in water and absorb the moisture. Then the puck needs to undergo a blooming process wherein the soap in also soaked in water entirely. You can add water to the puck bowl directly or add the puck to your mug and then add water to it. Once the soap blooms, remove excess water from the brush and the soap and with a clockwise or anticlockwise motion load the soap in the brush. Loading doesn’t essentially mean that you have to wait for lather to form. It is mainly the art of transferring the soap on to the bristles of your shaving brush. Once loaded the shaving brush with the soap in it can be directly added to your face and with a circular motion you can create a slick and cushioning lather. Once your face has been moisturized uniformly, you can go ahead with your razor. Though using a shaving soap is a little tedious job, but this traditional way of shaving has many advantages to its credit. Shaving soaps generally come in pucks or sticks which are travel friendly. Although accompanying it with a scuttle can make it all the same but you can always use a mug which is readily available everywhere. The shaving soap ideally gives you a rich lather and softens your beard and moustache more easily. It also adds more moisture to your skin. The shaving soap is environment friendly and cost effective. Thus keeping all these advantages in mind, reviving the lost art of shaving can sound interesting and is always worth a try. “OLD IS GOLD”.